Have you ever felt jealous of your friends who have an iPhone and tell you about their ability to use the FaceTime app while you are an Android user? Sure, you have. While FaceTime wasn’t the first of its kind, but it’s the most widely used video calling application overall the other applications. And if anyone wants to buy an iPhone, the first thing he assures of is that the device is FaceTime enabled. Unfortunately, FaceTime is an Apple’s exclusive application, meaning that it’s not available on Android by any means. But, luckily, there is a lot of alternative applications for FaceTime on Android, and they can do mostly all the functions it does. In this article, I will show you the best FaceTime alternatives for Android phones who can function the same as it does. But before that, I will give you a brief of the FaceTime app before going into how to FaceTime on Android. What is FaceTime? Can You FaceTime on Android? Apple has launched the beta version of FaceTime in 2011, then launched it as an audio-calling application in 2013. This allowed iPhone users to communicate between each other without wasting their money on the paid phone minutes, and it was available via Wi-Fi only at that time due to the huge bandwidth it consumes. Then, within the time, Apple’s Facetime turned from being an audio-calls application into a video-calling application. This was a great beat for the data providers in many countries, along with its security, which has led many countries to prevent the use of it like Saudi Arabia, Pakistan, and United Arab Emirates. Well, the above is a small brief of the FaceTime video calling app, now, we will head into the main topic of today’s article – how to use Apple’s FaceTime on Android. Although we mentioned earlier that we can’t use FaceTime for Android to iPhone video calls, there are still many great FaceTime alternatives that have the same features. Lately, we can find many applications for Android that provide the high-quality video calling via the Google Play Store, which one is the best for you? And why would you choose any of them? In the following lines, I will show you 8 best video calling apps for Android that function as Apple’s FaceTime. Google provides two alternatives for FaceTime on Android; Google Duo and Google Hangouts, knowing that the last one is the elder brother. Both the applications provide video-calling features like FaceTime for Android to iPhone, but Google Duo is specialized in Video calling, with the Video Preview feature which lets you know the identity of the caller before answering. On the other hand, Google Hangouts is the first and one of the best alternatives for FaceTime on Android, as it provides many other features besides the video-calling like sending and receiving SMS, audio calls, and even MMS which make him even an alternative for the second powerful exclusive application of the iPhone iMessage. Without FaceTime for Android, Google Hangouts or Google Duo could be the best choice for you. The best thing of both the applications is that they are all connected with your Google account without the need to create an account or sign-up for each one, and they sync your Gmail contacts. Moreover, Google Hangouts can be used via an application on Android and iOS, and it’s also available on the web, meaning that you can use it from wherever you are and at any time. 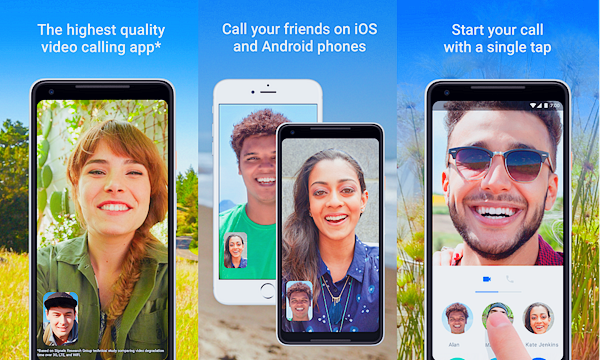 Google Hangouts and Google Duo are both free FaceTime alternatives, and you can download them from the Google Play Store. Just another old guy in the video-calling field, Skype was one of the most common communication applications, and it was the most used video and audio calling application in the first days of the widespread of the internet calling. Skype is distinguished with being available over all platforms like Android, iOS, Windows, Mac, and even Linux. With the ability to cross-talk between the devices and operating systems, it’s even better than FaceTime for Android to iPhone video calls. It’s also a free application, with the ability to pay for a landline, mobile, and international calls. And you can download it via Google Play Store now. Facebook has acquired WhatsApp application on 2014 with $19 billion deal. Since then, it started providing competitive features for its users, along with providing the same features for Facebook Messenger’s users. Both applications are identical in the term of providing the video-calls feature. They are all free, along with the ability only to perform Facebook Messenger-to-Facebook Messenger and WhatsApp-to-WhatsApp video calls. Although you can’t use Apple’s FaceTime for Android, these two powerful apps will not let you down. They both provide voice calls and text chatting, along with file sharing and group callings. Moreover, they are both free-to-download apps, and they are available on most all platforms; Android, iOS, Windows Phone, Windows, Web browsers, and even Mac OS. For Android, you can download both applications from the Google Play Store. Tips: If you have ever lost your Viber or WhatsApp messages, I recommend you using Gihosoft Android Data Recovery Software. 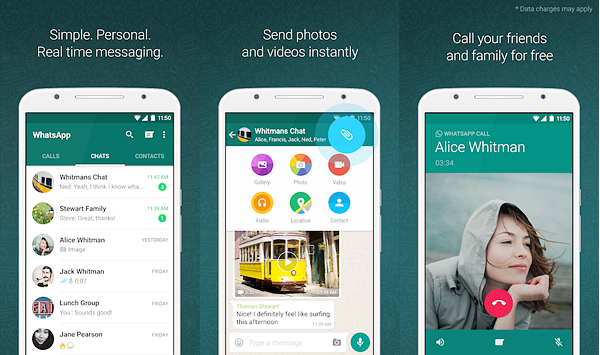 It allows you to recover deleted WhatsApp messages and Viber messages with a click of a button. Gihosoft Free Android Data Recovery is completely free with its ability to recover any type of files or data lost on your Android phone. 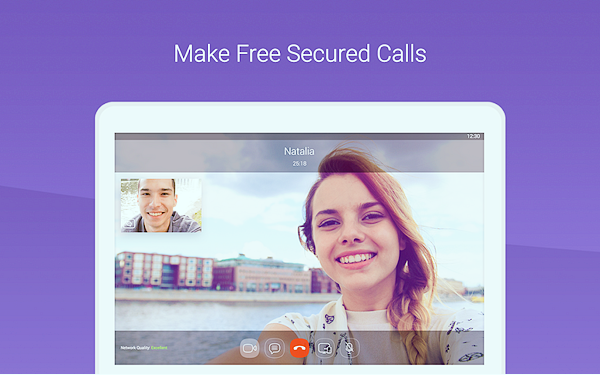 Viber is one of the first apps that provided the video-calling support on Android and iPhone, it offers free voice and video calls for the users, along with the text chat between participants. 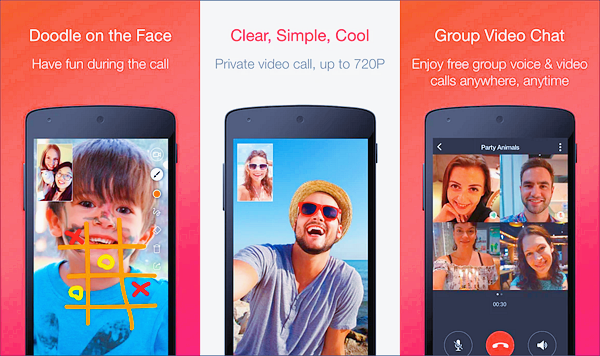 It’s another Facetime alternative app for Android. Viber is free to use with additional paid content like calling to landlines and mobile phones, which is a function that may be exclusive on Viber. In the same time, you can use Viber-to-Viber calls for free when you download the application via the Google Play Store. JusTalk is another great video calling application that provides you with good and acceptable quality on any connection – not for 2G connections. It also provides you with the ability to use doodles while texting, and you can share photos through it too. It’s also available on many platforms including iOS and Android, with the function of cross-platform to communicate with your friends and family who use another operating system. Thus, by using this app, you no longer need to regret that you can’t use FaceTime for Android. You can download JusTalk for free via Google Play Store, along with the ability to buy in-app purchases like themes and other features. 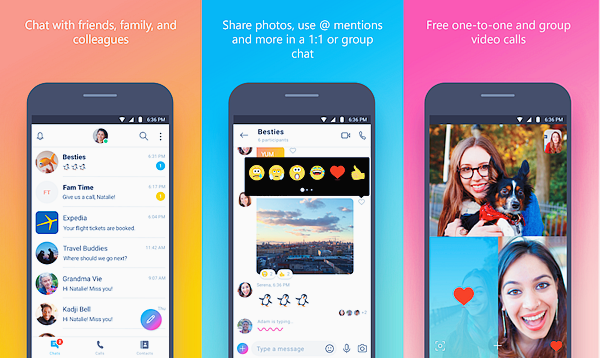 The application provides a safe video chat and messenger for kids with the name of JusTalk Kids, with features like parental control, no harassment from strangers, and no recommendation for the kids’IDs. JusTalk Kids is also available for free with no ads or in-app purchases via Google Play Store. 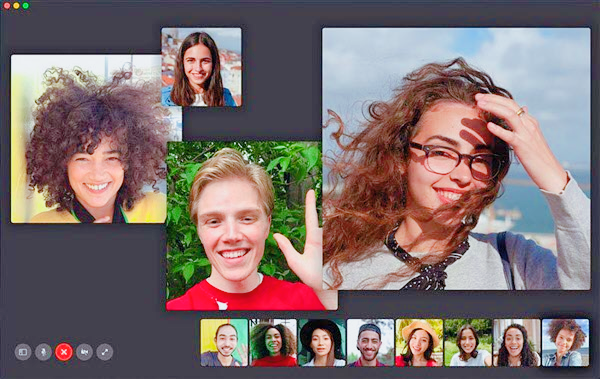 The last Apple’s FaceTime alternative application in our today’s list is imo, it’s an application that provides a free video and voice calls, and it’s available on both Android and iOS with the support of cross-platform. It also supports video and voice calls over 2G, 3G, 4G, and Wi-Fi for sure. Along with video and photo sharing functions, and texting with hundreds of free stickers. 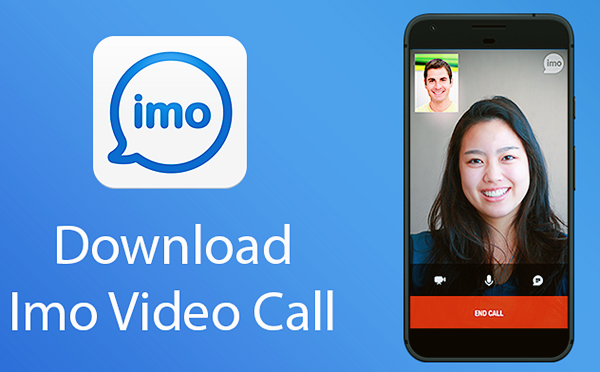 imo is available and free-to-download with some in-app purchases via Google Play Store. These were the best alternative apps for FaceTime on Android, and you can choose the best application based on your needs and what your friends and family use so you can communicate with them.